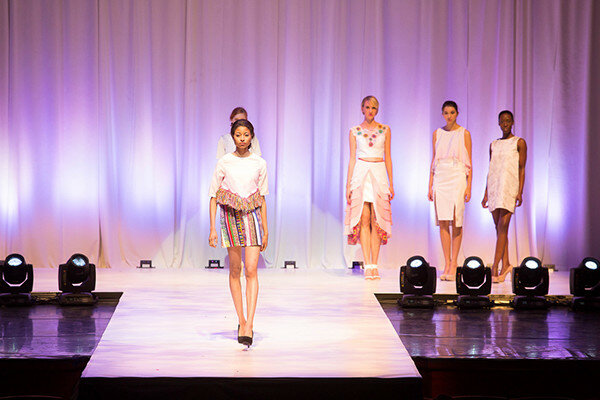 The following collection, COLLIDE is a collaberative collection between fashion design majors Emily Ray and Katherine Voigt. 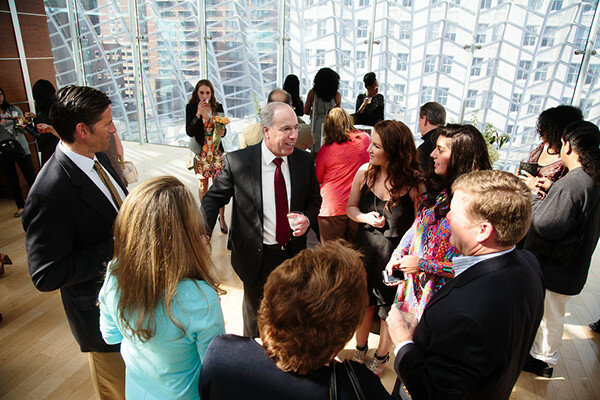 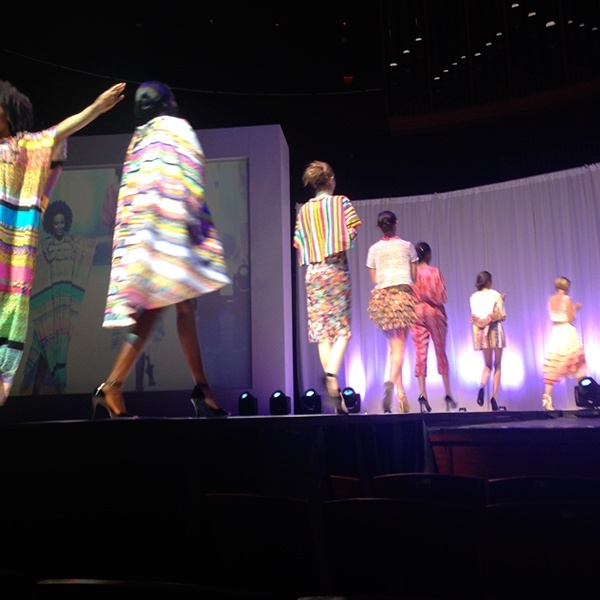 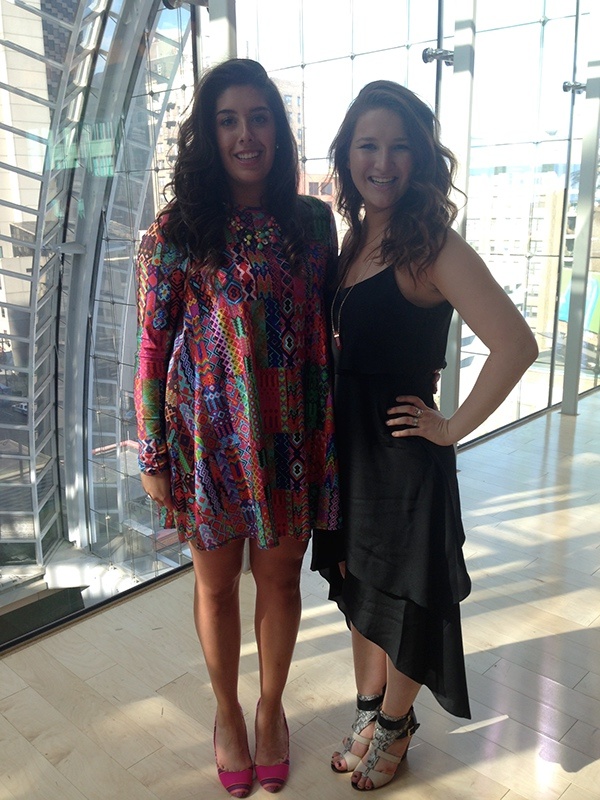 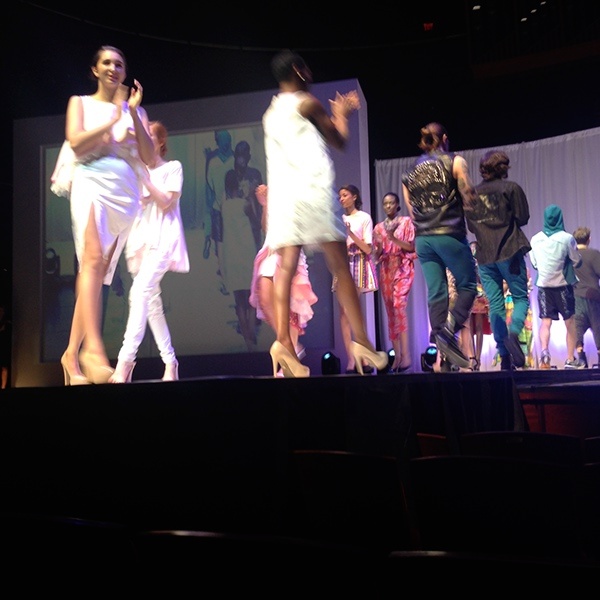 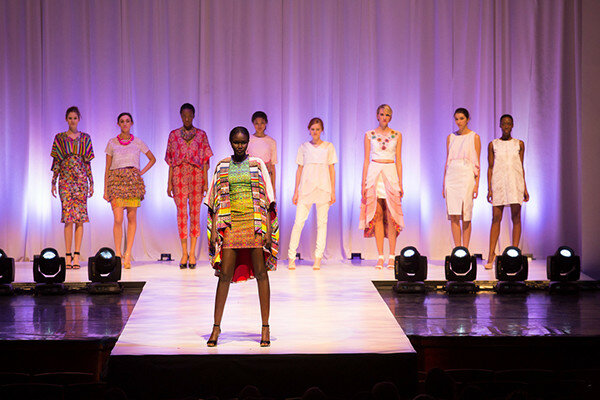 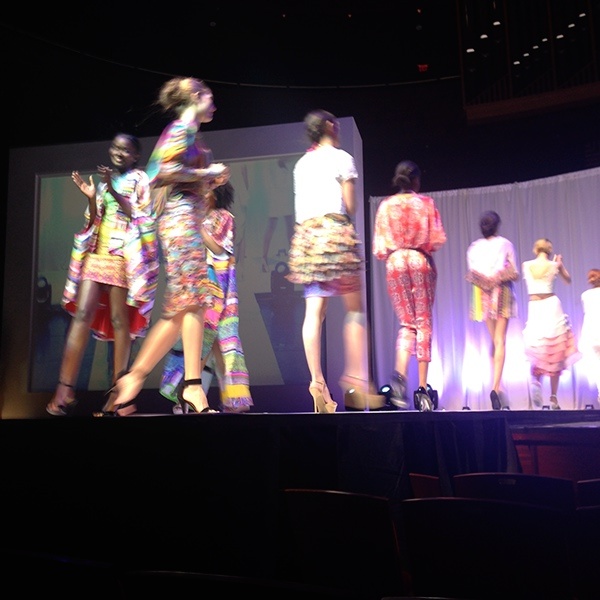 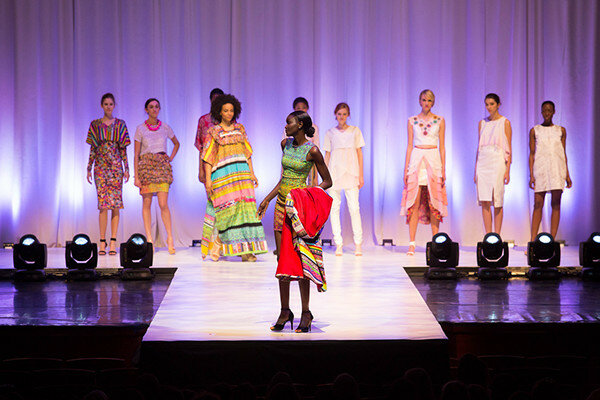 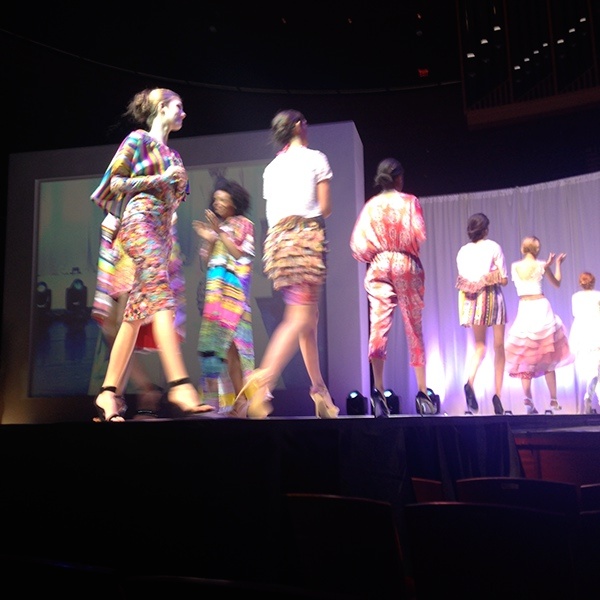 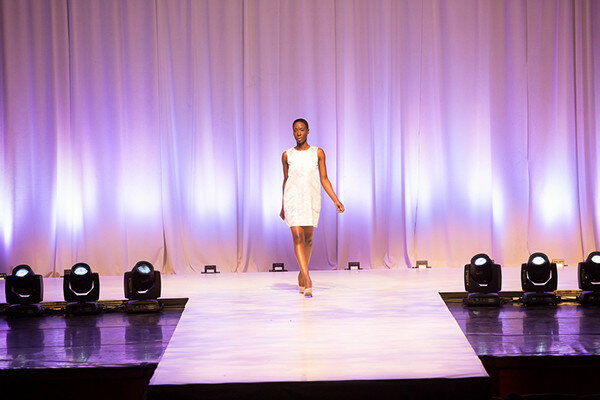 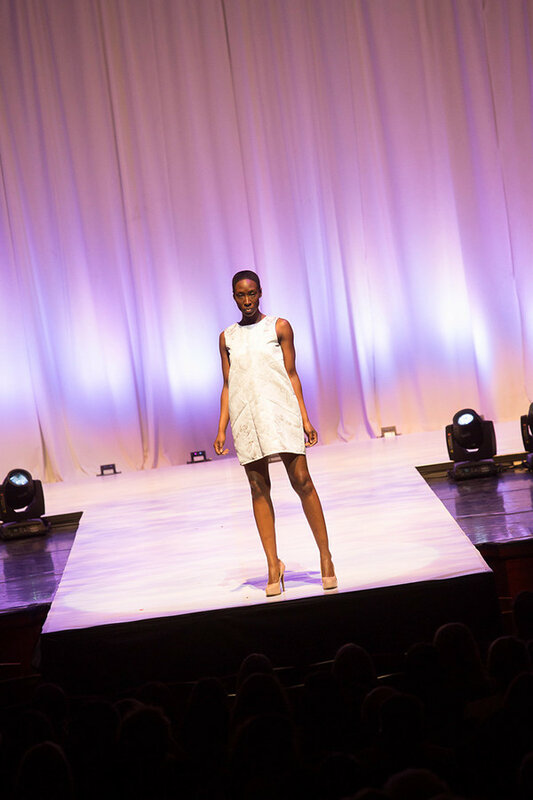 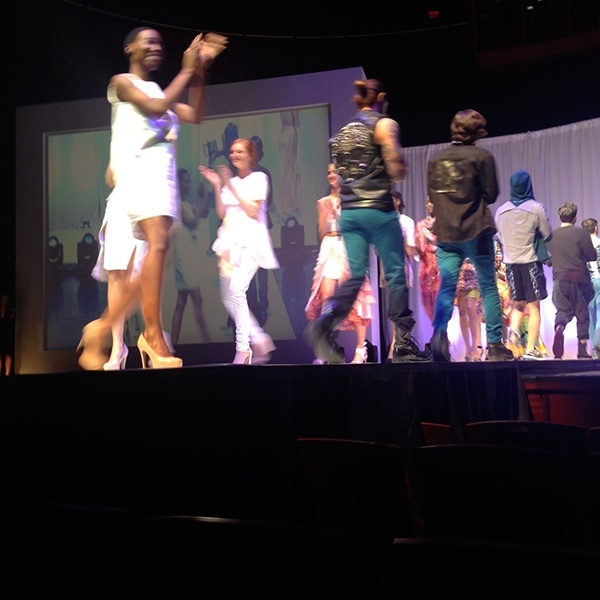 Below are photos of COLLIDE at the Philadelphia University 2014 Annual Fashion Show at the Kimmel Center, April 27, 2014. 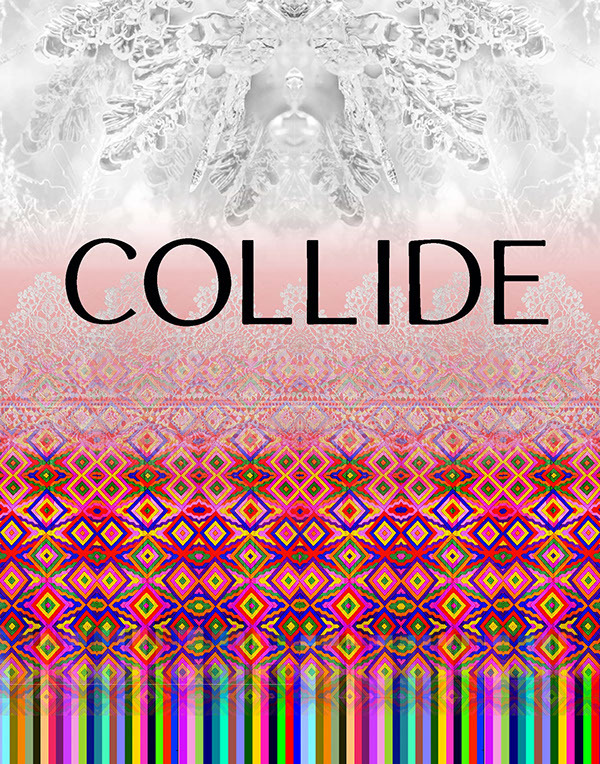 Collide is based off of two completely different inspirations on either far ends of the 11 piece collection coming together and "colliding" into one. 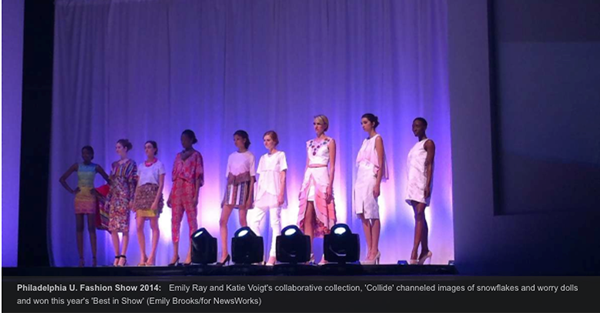 The collection starts with my partner, Katherine Voigt's side inspired by the structure of snowflakes. 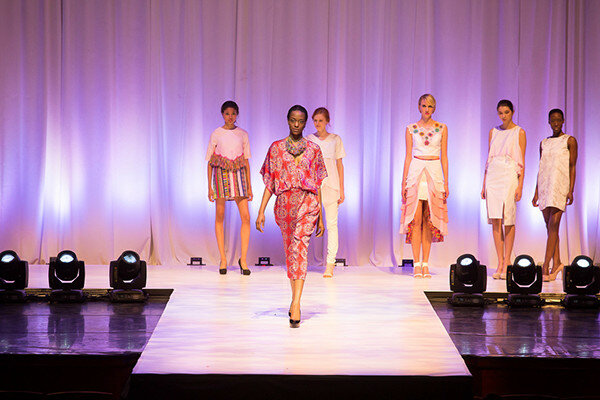 Her looks are from look 1 to look 4. 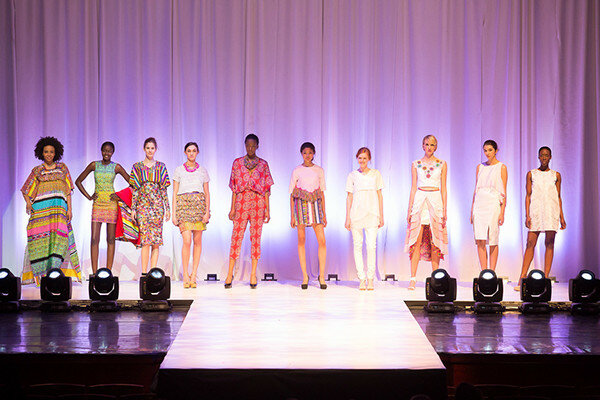 As the collection starts with structure and stark white it begins to melt the snow and start to show through the freshness of spring with colors transitioning into prints. 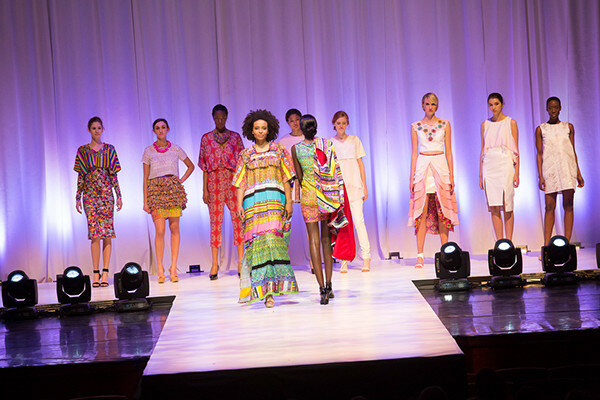 The colored side, look 5 to 11 are my designs and prints inspired by Guatemala and Guatemalan Worry Dolls. 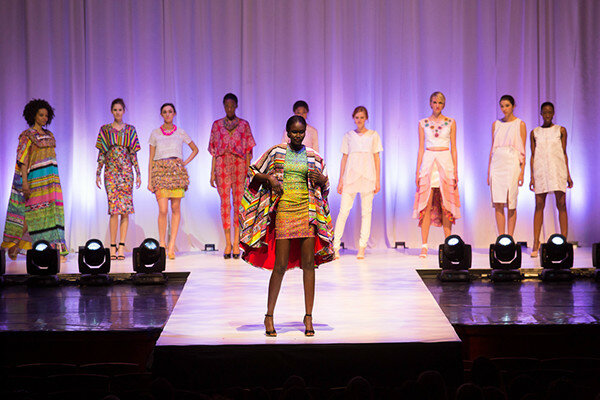 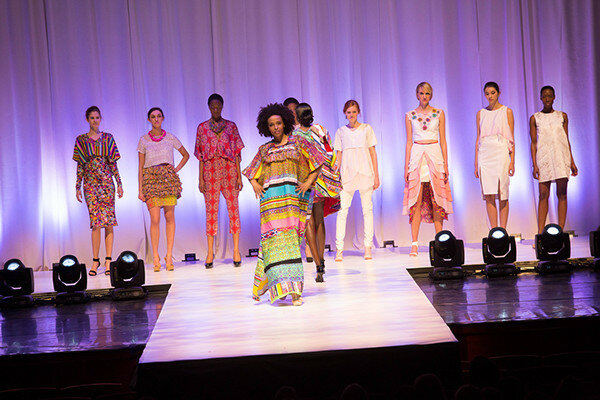 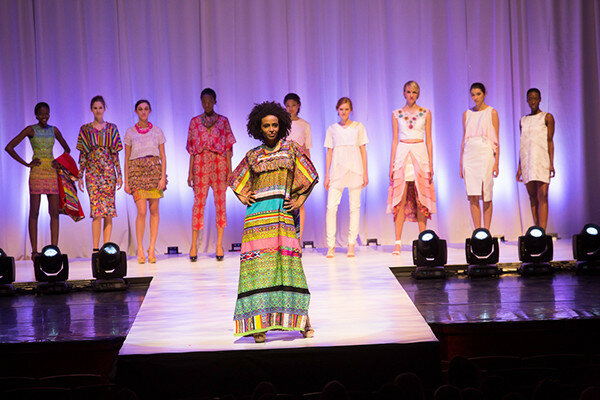 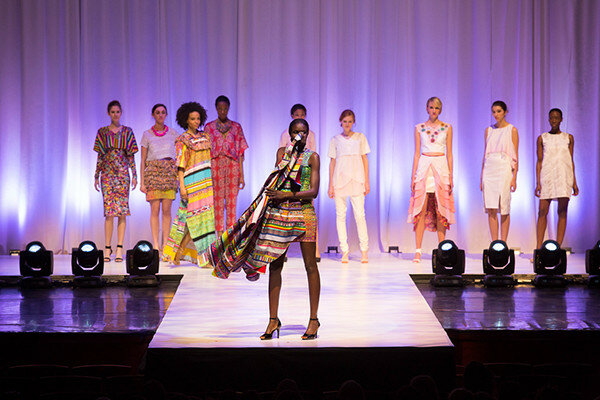 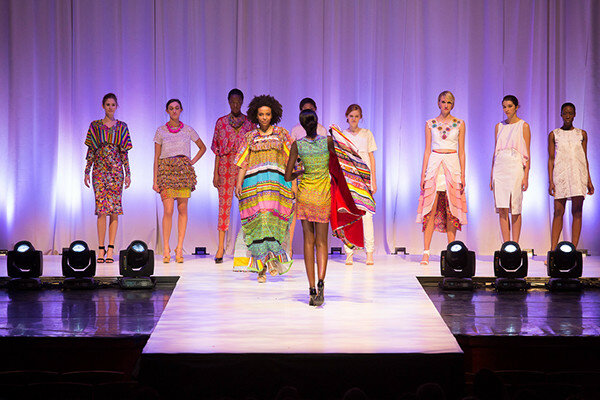 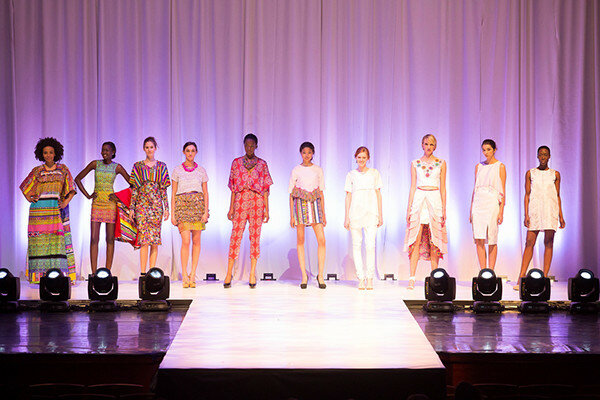 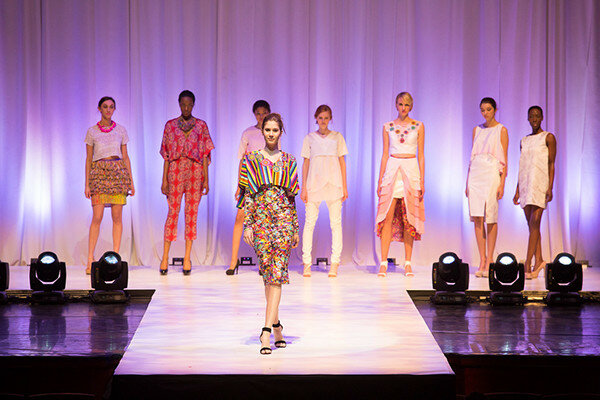 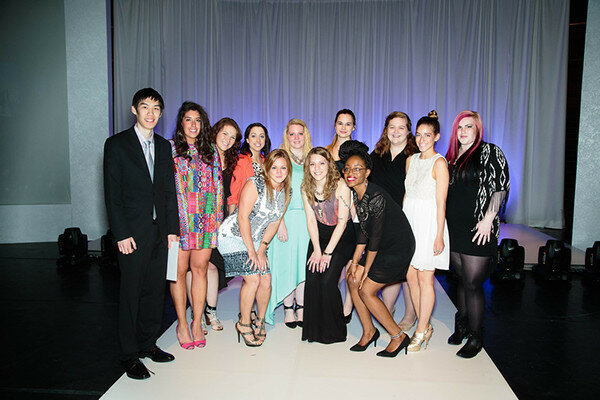 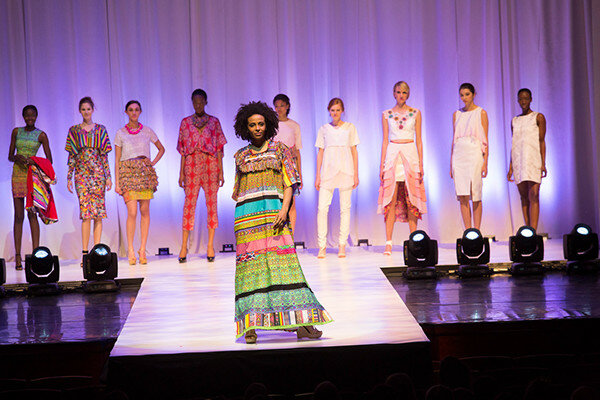 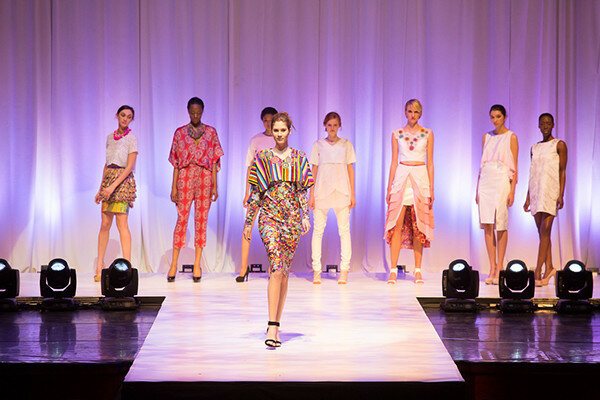 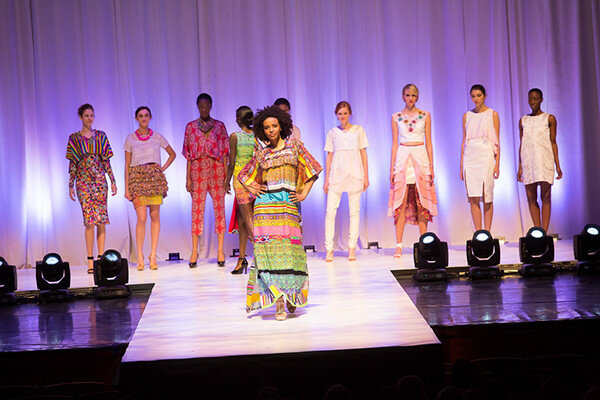 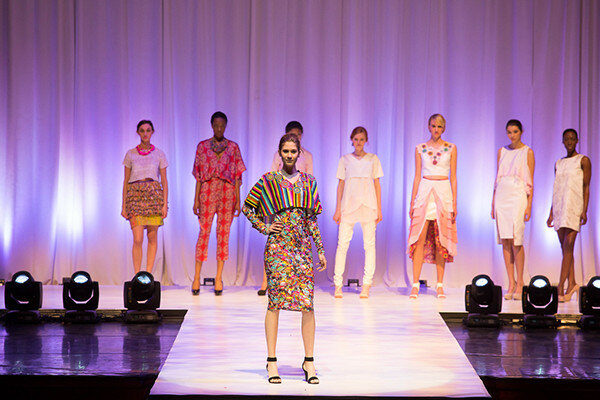 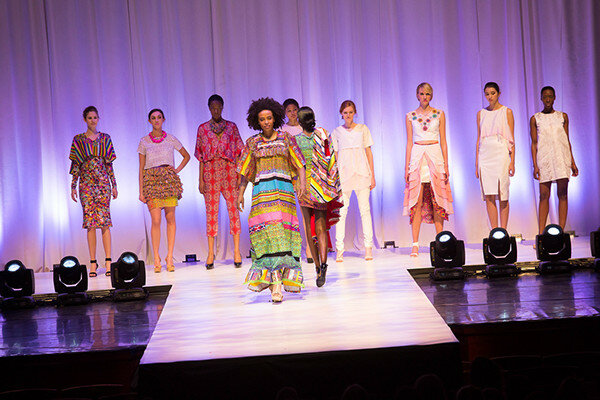 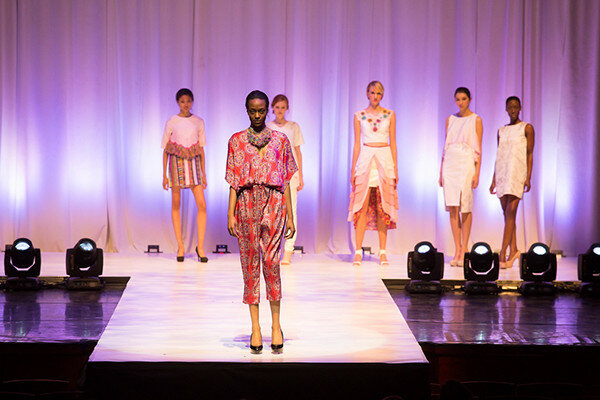 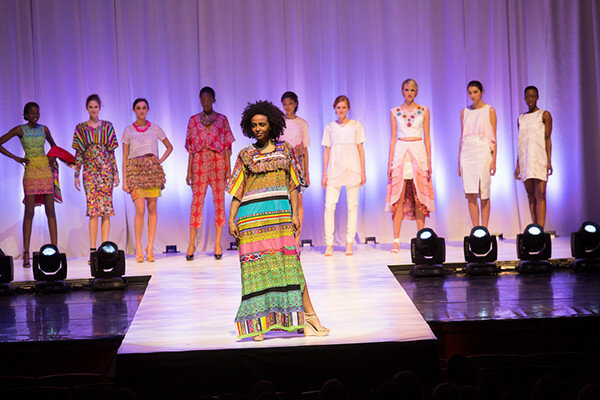 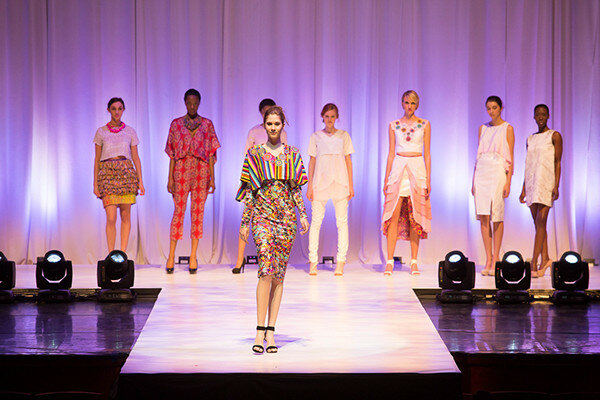 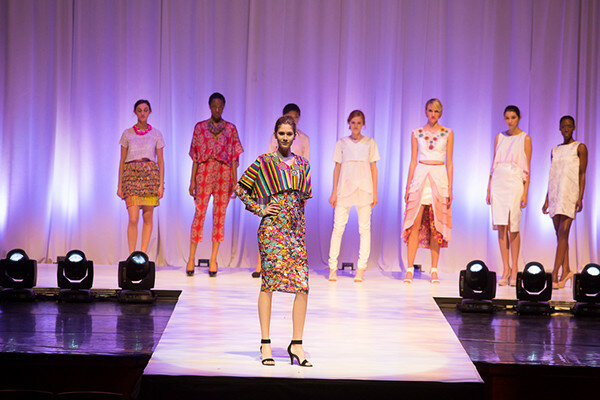 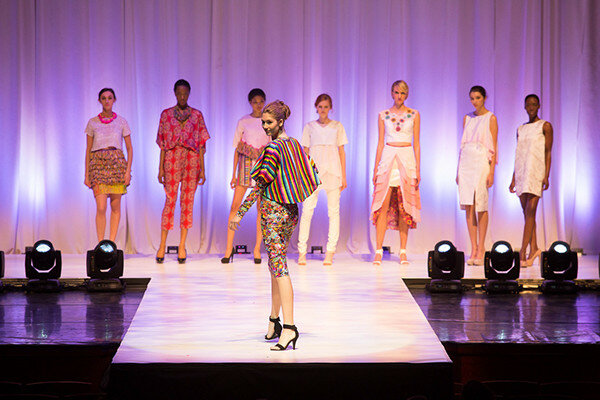 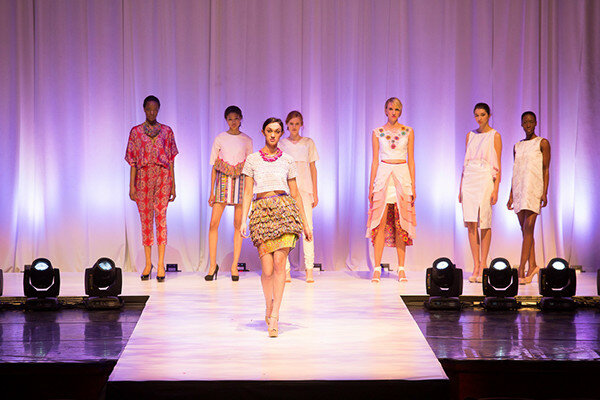 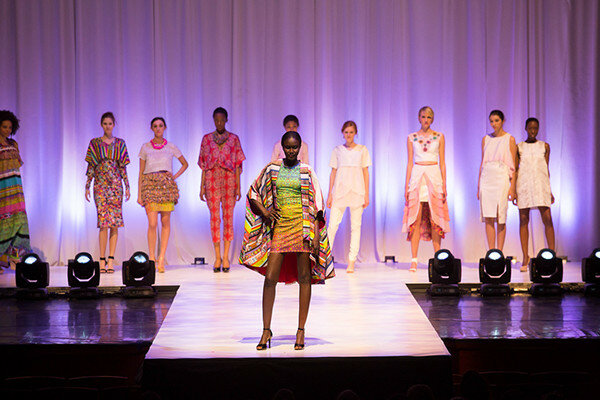 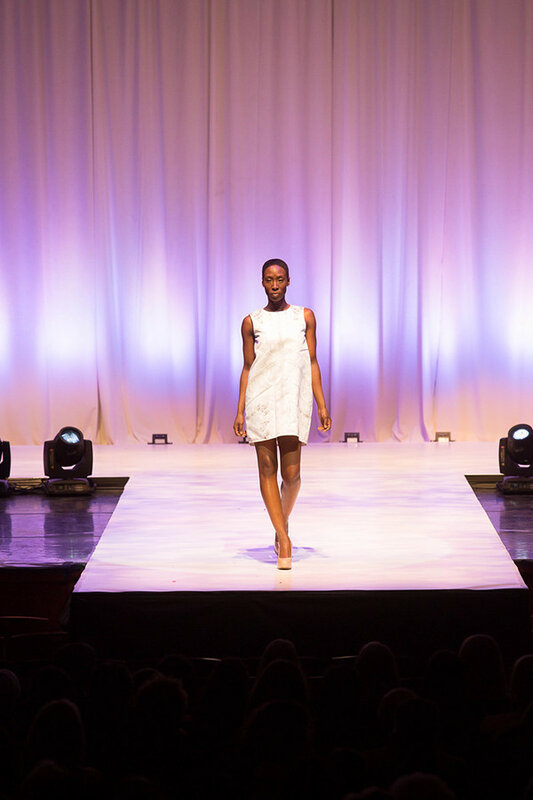 COLLIDE successfully closed the school's annual fashion show and won the final award of BEST OF SHOW, presented by votes, the faculty, and the FIA organization. 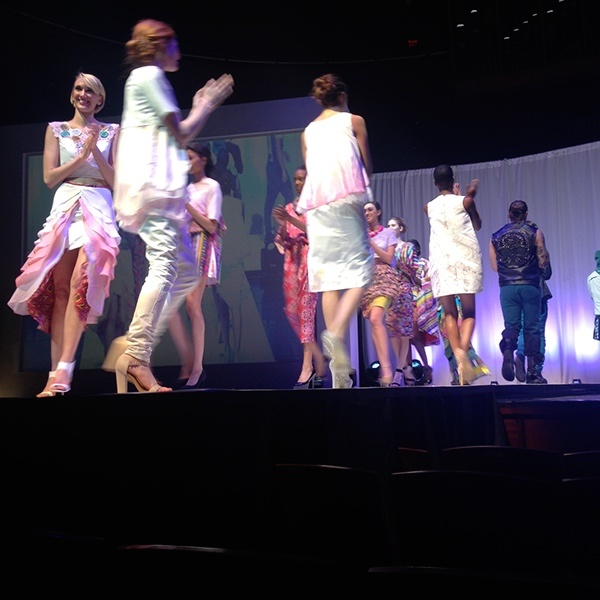 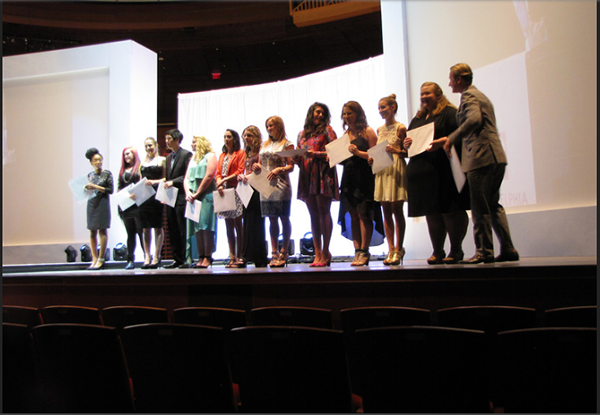 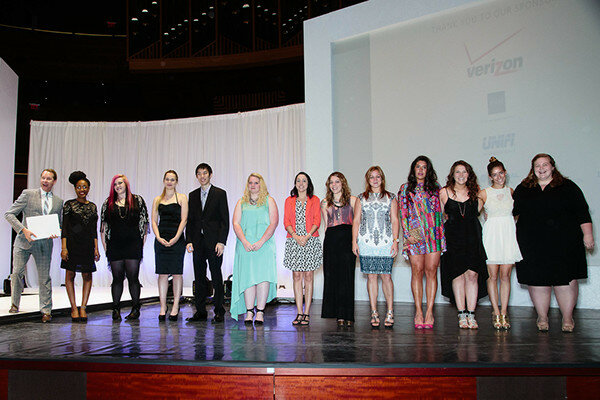 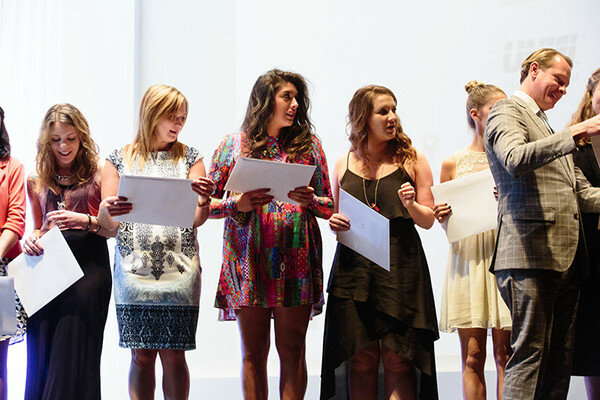 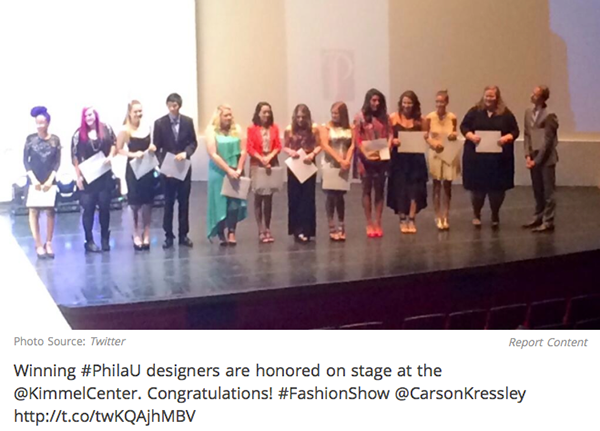 Below are photos of COLLIDE walking seamlessly down the runway and the final award ceremony. 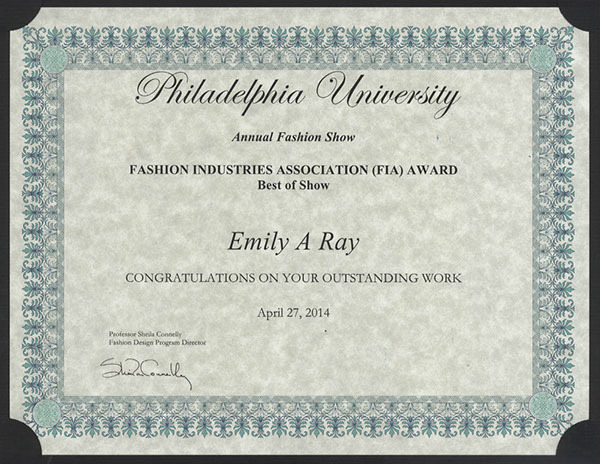 Below is the Philadelphia University 2014 Annual Fashion Show presenting myself and my partners collaborative collection COLLIDE, winning Best of Show, COLLIDE was a breakthrough collection created by myself Emily Ray and my design partner Katherine Voigt to create a collaborative collection with two different inspirations coming together to create one cohesive 11 look collection. 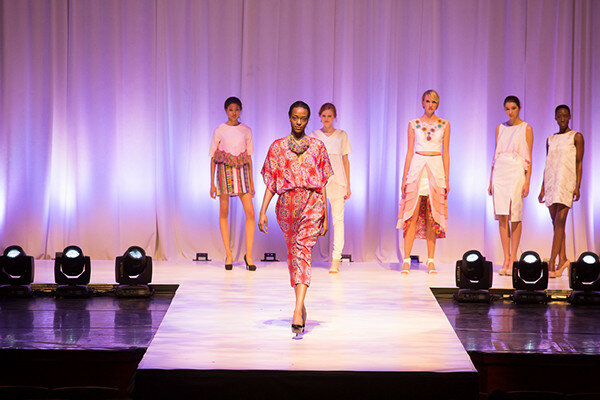 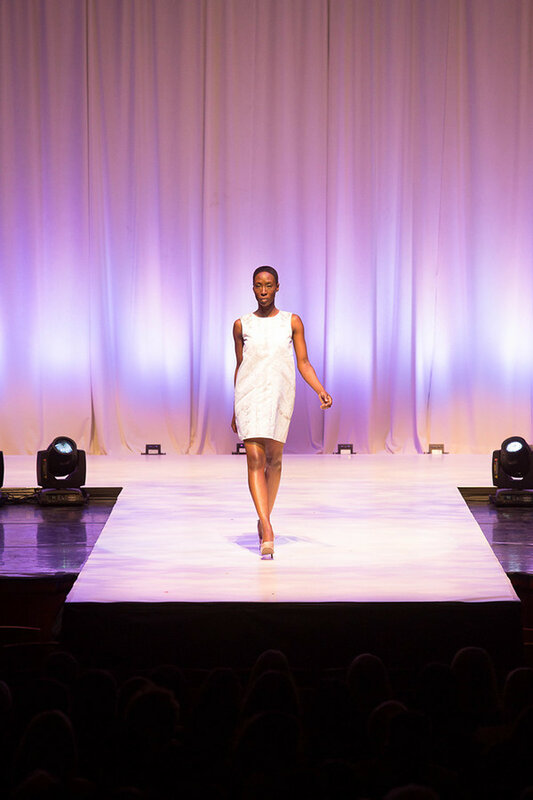 This project shows the award ceremony as well as COLLIDE walking effortlessly together down the runway on April 27, 2014.